The Bay of Naples is one of the most spectacular areas on the planet, with a tremendous wealth of both natural and cultural treasures. It presents beautiful diverse landscapes and an amazing amount of history. 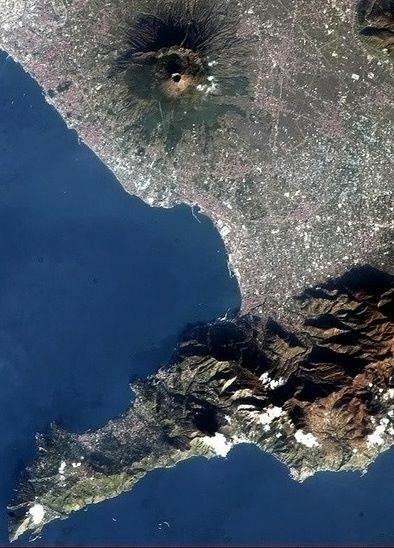 The blue waters of the Mediterranean are dominated here by the world’s most famous volcano, Mount Vesuvius (Italian: Vesuvio), the only volcano on the European mainland to have erupted within the last hundred years. 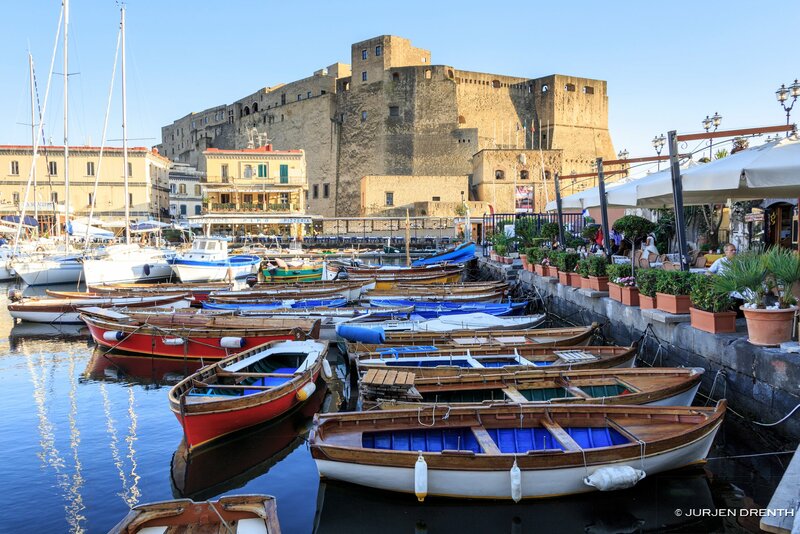 The vibrant city of Naples is worth the journey by itself and finally there is the stunningly beautiful Sorrento Peninsula, the southern side of which is the world-famous Amalfi Coast. Enough to fill a great week walking & exploring! A week in this area without some Roman ruins wouldn’t be complete! 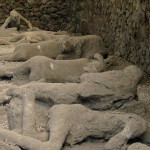 Of course you visit Pompeii, Italy’s most famous archaeological site, situated under Vesuvius’ looming mass. Here you can take your time to visit the extensive excavations and learn about how the Romans lived almost 2000 years ago. 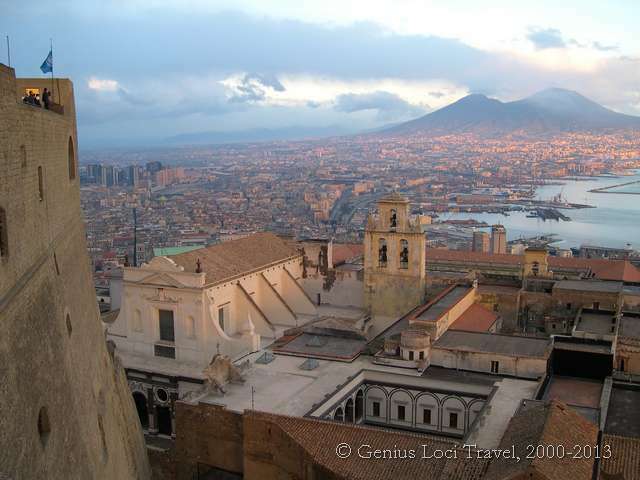 But also neighbouring Herculaneum and Stabia are worth a visit, as well as the stunning underground Roman city of Naples itself. And of course you should go for a great roundwalk on Mt. 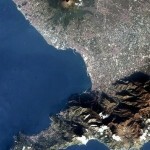 Vesuvius, to peer into the main crater and enjoy marvellous views over the whole bay, a panorama which runs from Sorrento and Capri to Ischia and Naples. 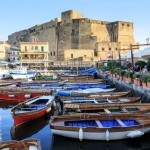 A unique part of the charm of the Bay of Naples can be found on its islands, all different, all beautiful. 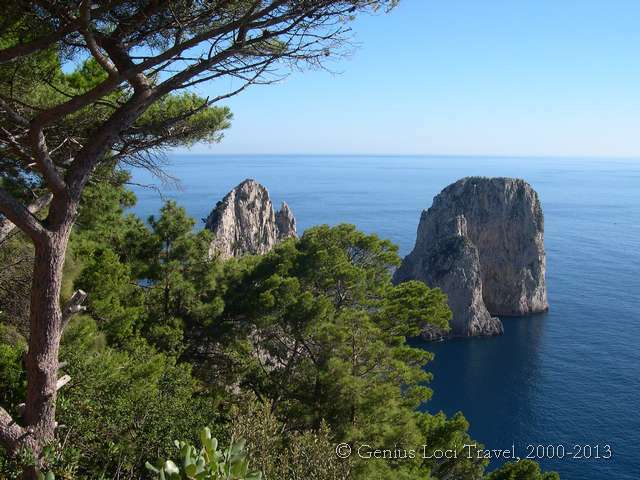 During this tour you’ll visit the world-famous island of Capri, where you make a great roundwalk, a great mix of nature & culture. Walk along its impressive cliffs, admire the world-famous ‘Faraglioni’ and its natural arch, and visit the amazing Roman villas. And of course, you can indulge in its fashionable ‘dolce vita’ too…. 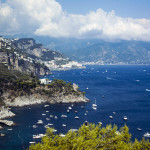 Then you travel on to the Amalfi Coast, probably Italy’s most beautiful coastline. Tourists have flocked here for centuries. More recently, the amazing network of footpaths has been discovered too. 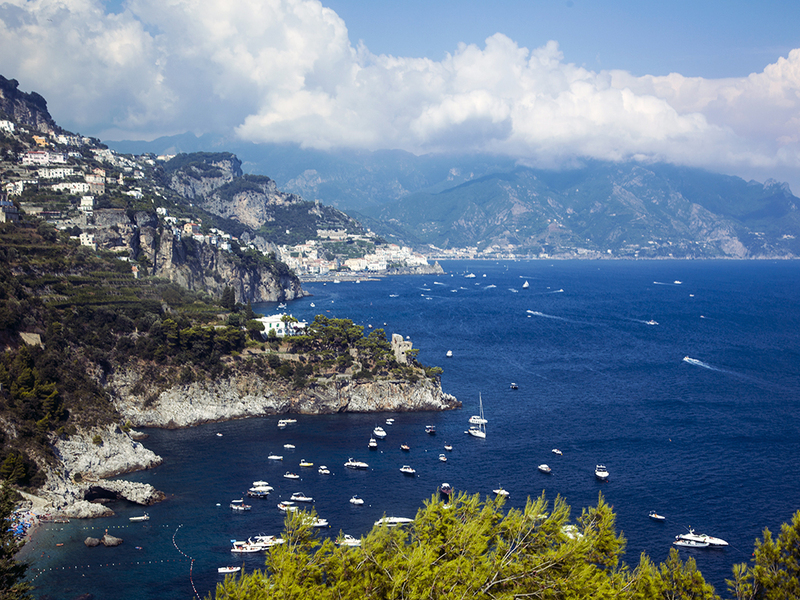 And it’s just as well, because walking along the Amalfi Coast is something everyone should do at least once in their life! 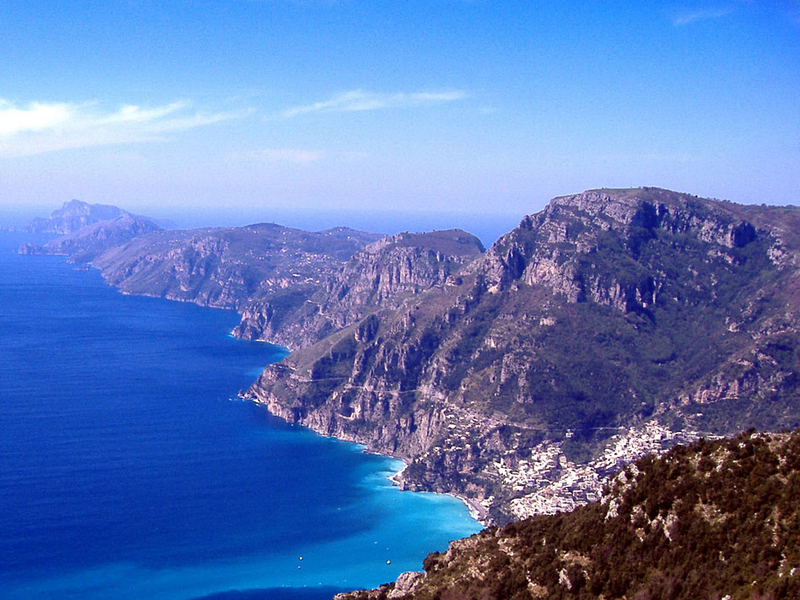 The landscape of the Costiera Amalfitana is immensely varied and surrounded by infinite ever-changing views. Along the coast itself it can be typically Mediterranean, with numerous species of wild perfumed herbs, myrtle shrubs, thyme, rosemary and mastic trees. Further inland it can be almost alpine with meadows and bare rocks. In between, man has created an incomparable mosaic terraced landscape. Amazing lemon groves and vineyards look out over the clear sea. And cultural heritage abounds, with beautiful little churches, ruins of castles and old farmhouses found all over the place… The Costiera Amalfitana is definitely Europe’s most dramatic stretch of coastline! All this can be discovered on foot, as there are thousands of footpaths. 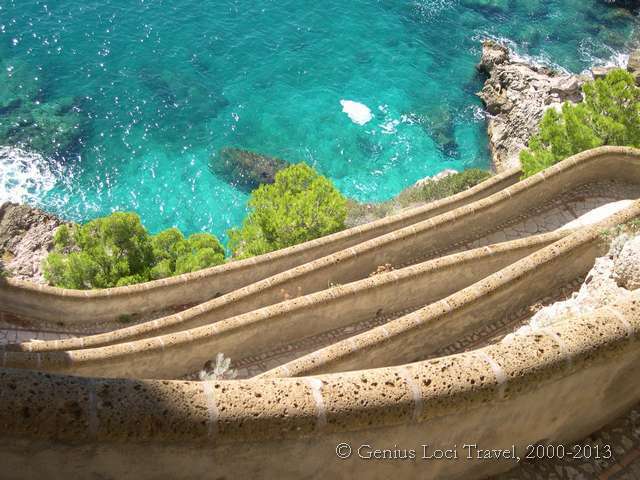 Some of which have become famous, such as the “Sentiero degli Dei” (the “Footpath of the Gods”) or are at least a thousand years old, like the “Maestra dei Villaggi” – the ‘main road’ of the Republic of Amalfi. But there are unknown trails which are just as beautiful as well! Heading from the sea to the mountains, or vice versa, there are always stupendous views, and you’ll walk through little villages, vineyards and olive groves, Mediterranean scrubs and woods, living rocks and chestnut woods. 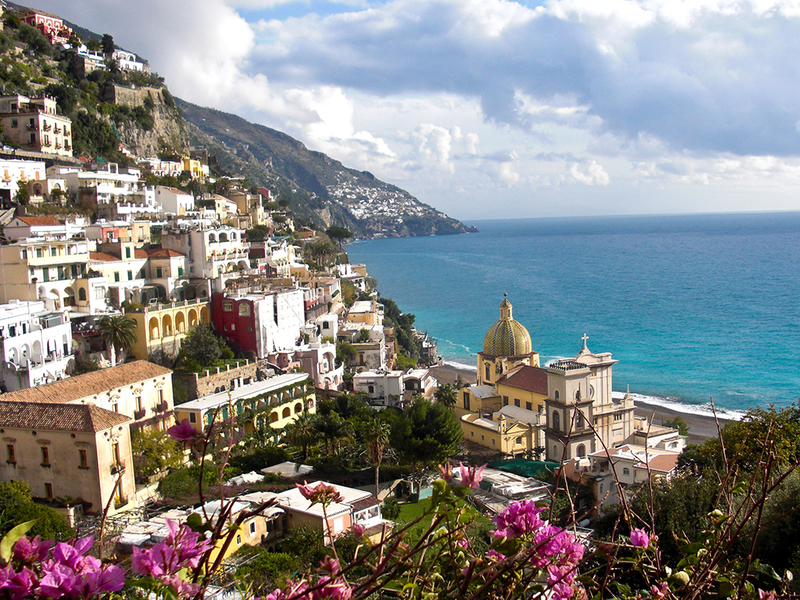 Of course you’ll have the time to visit the villages which are must-see attractions: Amalfi itself, but also Atrani, wonderfully preserved through the centuries, Ravello with its magnificent villas, and of course the scenic and fashionable Positano. You will mainly walk along well-maintained footpaths and paved alleyways, through attractive countryside, with wonderful terraced lemon groves, vineyards and cultural treasures like rural chapels, ancient farmhouses, old watermills and wonderful villas and villages, where you can sit down and relax with a drink. 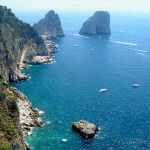 On this tour you will discover that the Amalfi Coast has become Italy’s most famous coastline with good reason. But also that it only takes a little effort to get ‘off the beaten track’ and you will find yourself surrounded by nature. Average walking times: from approx 4 – 5 hours each day. Arrival in Naples (airport or train station). You are met by a taxi (optional) and brought to your hotel in the heart of the old city centre. In case you are early you can already go for a stroll through the city centre. 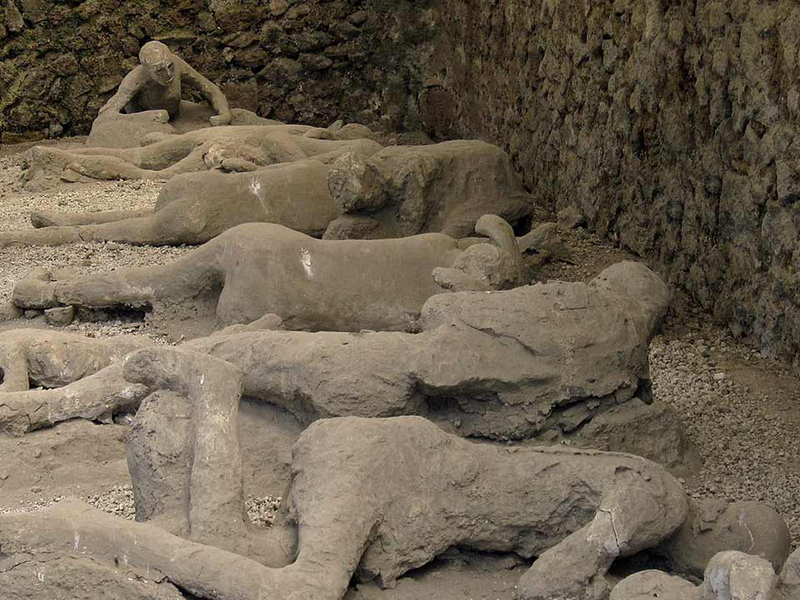 This morning you travel by local train to Pompeii, perhaps the world’s most fascinating ruins. 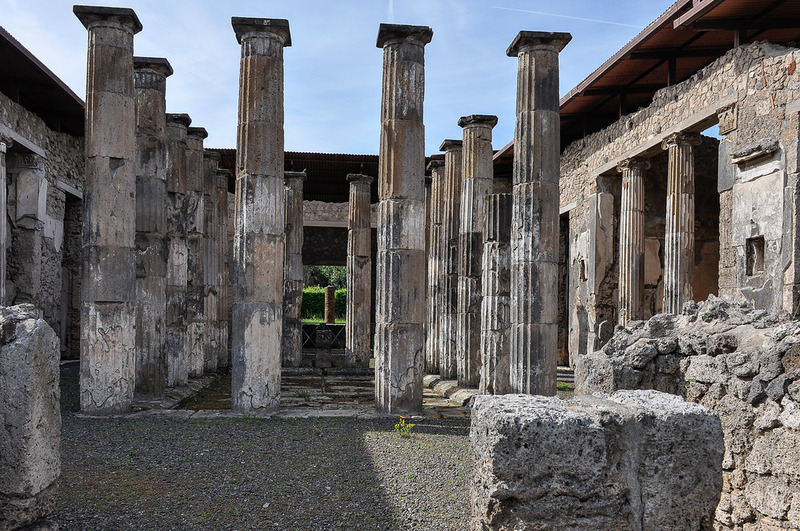 A visit to Pompeii gives you an amazing insight into the life of a Roman city, especially when walking along its chariot-marked back streets. You will be captivated by the exceptional frescoes to be found throughout the city or by the opulence of the villas, with their atriums and stunning mosaics, owned by the rich and influential of the day. Visit the amphitheatre as well as the Villa of Mysteries with its masterpiece frescoes depicting the secret Dionysus rites, the Roman Forum and basilica, temples, public baths, and the tiny Odeon created for music recitals. 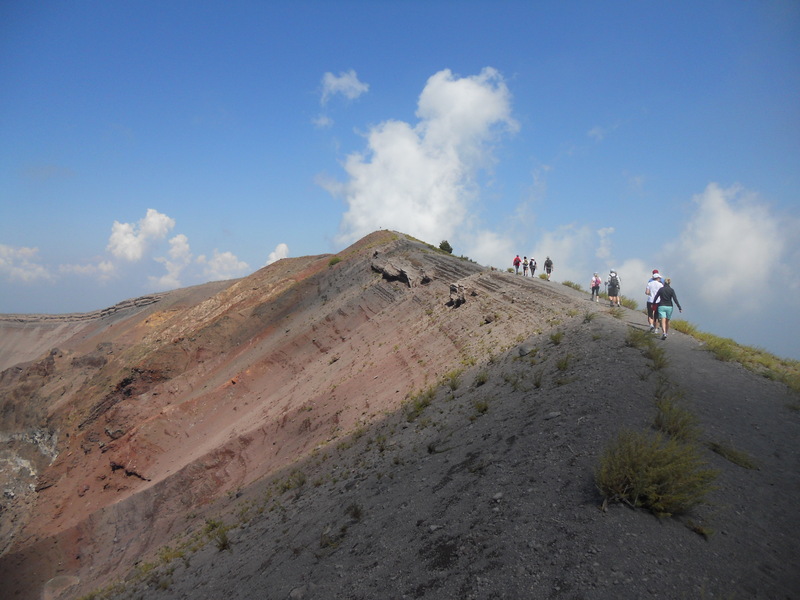 In case you want to make a great roundwalk as well, we recommend climbing Mount Vesuvius, the volcano that with the fatal eruption of 79 AD completely destroyed the bustling city of Pompeii. 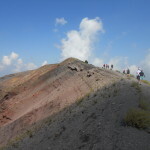 You can make an amazing roundwalk here, completely different from the standard visit to Vesuvius (and normally closed to the public), which makes you feel like you’re in a completely different world! 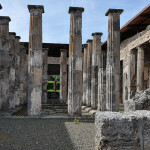 What is less known to many is that also the ‘new’ town of Pompeii is definitely worth the detour, if only for its amazing sanctuary. Go for a stroll here and then have an ‘aperitivo’ to look back on a great day. 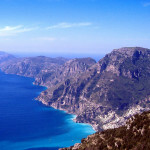 Your private taxi then picks you up and brings you to the Agerola plain, overlooking the stunning Amalfi Coast. Today you walk down to Amalfi along an incredibly scenic path, through the higher parts of one of southern Italy’s most interesting nature reserves, the ‘Valle delle Ferriere’. First you climb up a short stretch until you reach the beautiful long distance trail of the area, the ‘Alta Via dei Monti Lattari’. You will see some spectacular scenery, walking over comfortable footpaths underneath the towering cliffs, and passing some little waterfalls. If you’re feeling particularly brave there’s even the chance to have a swim. 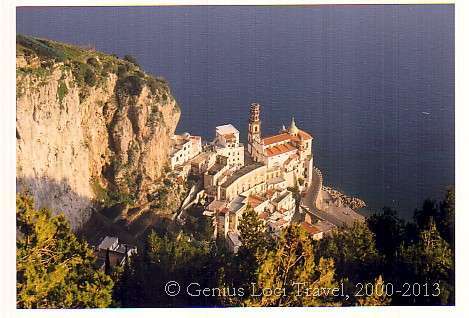 Then you descend through the forest to the little village of Pogerola, dominating the valley of Amalfi from the west. 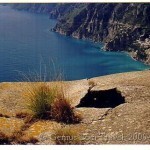 From here you take some beautiful medieval steps, which offer nice views over the valley, down to the centre of Amalfi. Through a number of wonderful alleys you then end up in the main square, Piazza Duomo. Perhaps you have the time to visit the paper museum or take your time for a swim, before taking the bus back up to Agerola. Today’s walk brings you into the mountains above Bomerano, towards the highest peaks of the Amalfi Coast, where views are perhaps even more beautiful than from the famous ‘Sentiero degli Dei’. The first part of the walk is a relaxed stroll through the charming village of Bomerano, but then, through vineyards and chestnut forest, the path starts to climb up to Monte Tre Calli. After about an hour walking uphill you reach the ridge of Monte Tre Calli, where you find unrivalled 360° views! A fantastic scenic walk takes you along the ridge, through meadows and forest, to a natural rock formation known as ‘the mushroom’. From here there is the option of continuing towards the highest mountain in the area, Monte Sant’Angelo. Otherwise you can opt for a relaxed picnic lunch. 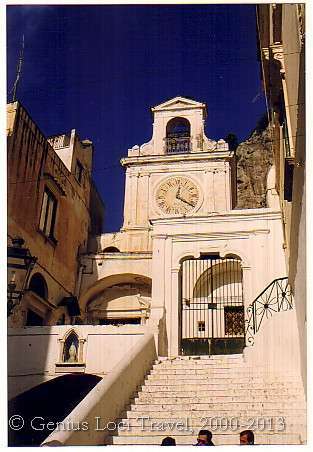 Then you start the descent towards the little chapel of the ‘Virgin of the Silence’, where you will enjoy magical views of Positano. You then walk back from there to your agriturismo along an easy road, with views that are grand to say the least. 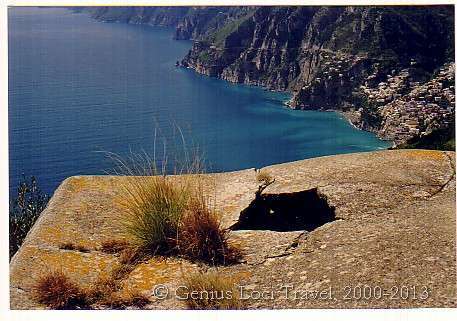 Directly from your accommodation you walk onto the most famous footpath of the Amalfi Coast, the ‘Sentiero degli Dei’ (Footpath of the Gods). 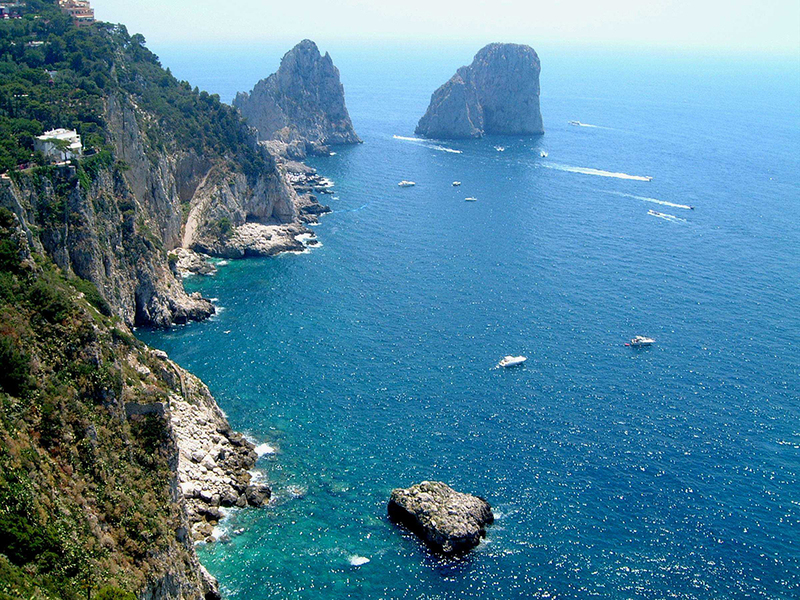 After a first beautiful stretch through terraced vineyards and ancient buildings, you reach Colle Serra, where the views open up towards the other end of the peninsula: from the monastery of San Domenico, dominating the coast from its stupendous hilltop position (optional detour along a medieval pilgrim route) to the island of Capri. You then continue on a more or less level path, through spectacular scenery with bizarre rock formations and luxurious vegetation. Here the ‘Sentiero degli Dei’ really lives up to its name! Through unique scenery with unrivalled views you reach the hamlet of Nocelle. Passing another spectacular valley you arrive in the little village of Montepertuso. After Montepertuso it’s only a short walk down to Positano, but it will take you a bit of time as there are so many photo opportunities along the route. Positano itself is considered to be one of Italy’s most beautiful villages, and certainly one of the pearls of the Amalfi Coast. After a stroll through its alleys you could relax for a bit or go for a swim at the large beach, before taking the boat to Amalfi. Here you settle in at your hotel in the centre, at walking distance from the beach. 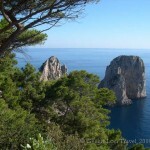 Today is a very special last walking day, which will really give you a good idea of the amazing cultural and natural heritage of the Amalfi Coast. First you take a local bus up to the charming historic village of Ravello, one of the most exclusive villages on the Amalfi Coast, and sought after by artists over the centuries as its lofty position and sunny, dry climate made it an appealing place to writers, artists, musicians and travellers from northern Europe. Boccaccio, DH Lawrence and Richard Wagner are among the more notable guests who have succumbed to its spells. Ravello not only has a very interesting history, and many medieval monuments, but also offers beautiful views over the Amalfi Coast. The French novelist André Gide once described the village as being ‘closer to the sky than the seashore’. 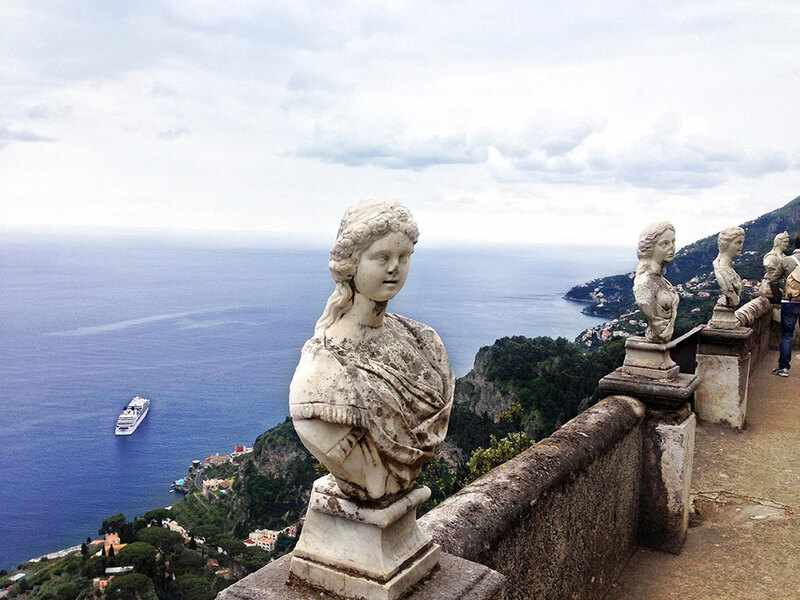 Ravello also boasts two magnificent villas – the superb 11th-century Villa Rufolo, once a papal residence and later the home of Wagner, and Villa Cimbrone, a sumptuous 19th-century mansion with fabulous gardens and unequalled views over the Gulf of Salerno. You can take your time to stroll through the village, before starting the walk back down to the coast. Past the dramatically located Villa Cimbrone you starting walking down through chestnut forests, vineyards and lemon groves, until you reach the beautiful little village of Pontone, part of the medieval defence system of the town of Amalfi. 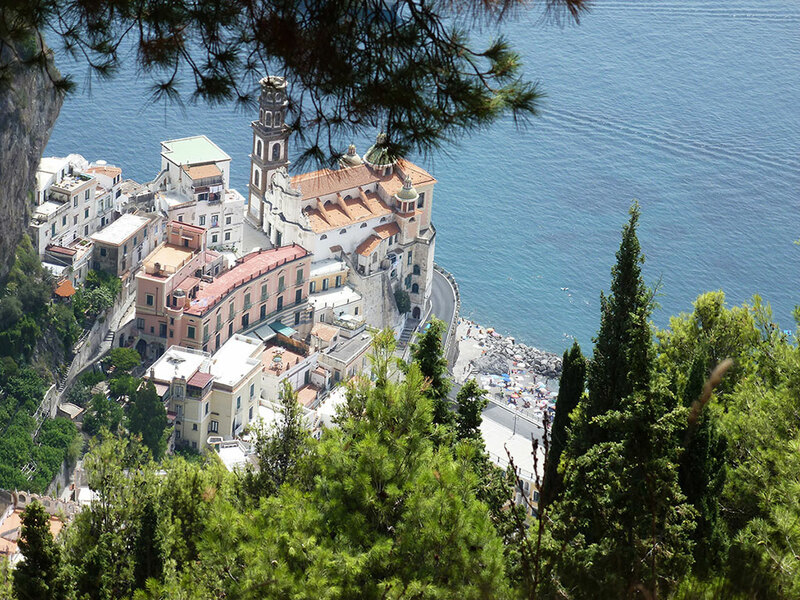 From here you walk to the spectacular Torre dello Ziro, located on a narrow ridge in a park-like landscape, which is a marvellous picnic spot with unforgettable views of Amalfi to the one side and Atrani to the other. Then you descend into the ‘Valle dei Mulini’, the valley of the mills, with its ruins of Europe’s most ancient paper factories, dating back to the 11th century. The easy path runs alongside the course of the river, in an abundant, green, almost un-Italian landscape. Those who feel like it can penetrate deep into the valley, to admire a number of beautiful waterfalls. 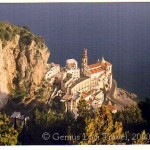 Then you return back down to Amalfi. Along the path there are many impressive ruins of what were once the first paper mills of Europe, adding a mysterious touch to the landscape. End of the tour. 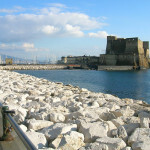 Return to Naples/Salerno by taxi, boat or bus. Most of the accommodations are on a B&B basis. Only on your first two nights in Scala (and, on request, the first night in Agerola) are you on a half-board basis. When dinners are not included you will be free to choose from the large number of restaurants in the area for your evening meal. Your accommodation holder can give you good tips. Alternatively, you can eat at the premises of the hotel (on some occasions). 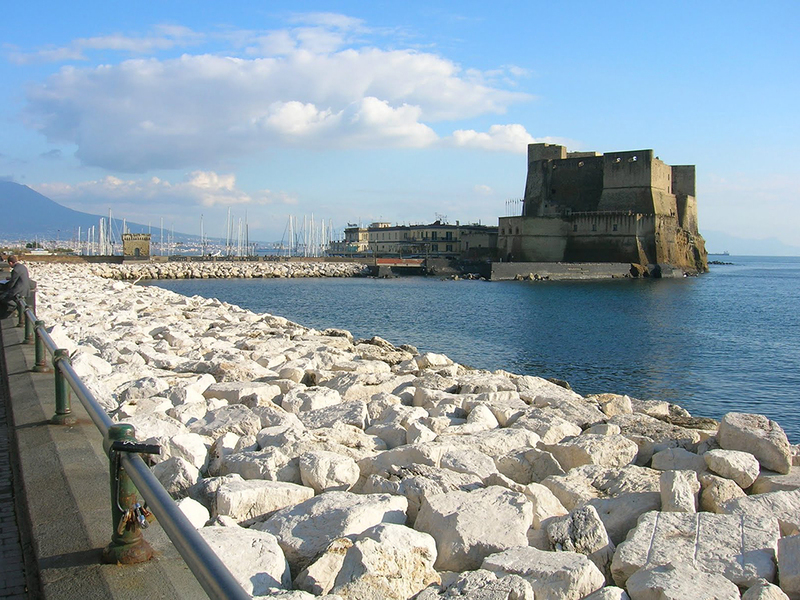 Nights 1, 2 & 3: The first three nights are spent in Naples, in a beautiful hotel in the heart of the city, at walking distance from the main monuments and the harbour. Nights 4 & 5: The next two nights are spent in the small village of Agerola overlooking the Amalfi Coast, either in a beautiful agriturismo, or a nice family-run hotel, all with comfortable rooms with en-suite facilities. Nights 6 & 7: The last two nights are spent at Amalfi, the ancient capital of the Amalfi Coast, either in a welcoming and comfortable 3-star hotel, or in a charming 4-star hotel in Atrani. 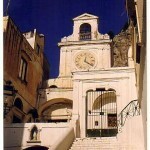 All hotels are at walking distance from the shore and all main monuments of the medieval town centre. Maps at 1 : 25.000 scale or more detailed. N.B. Two evening meals can be included in Agerola (supplement 30 euro). 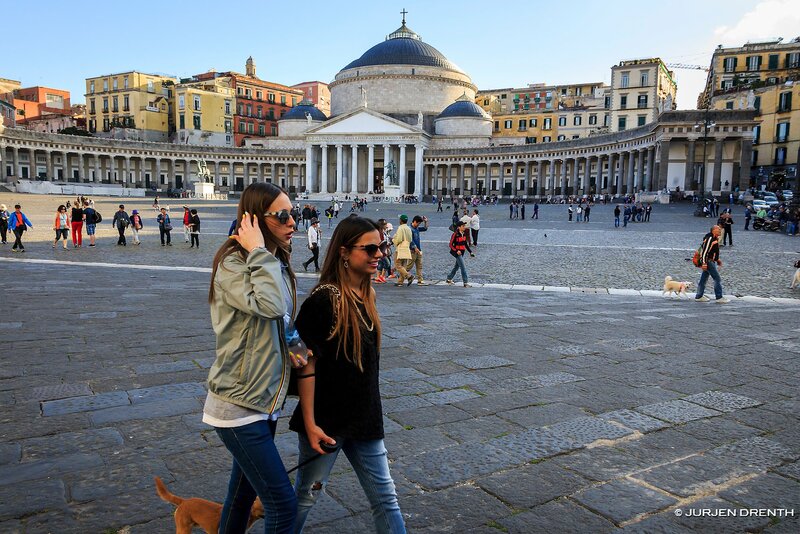 Arrival: The tour starts in NAPLES, a city with a major international airport and connected to Rome by a frequent high-speed train service. 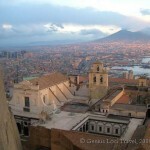 A taxi pick-up service can be arranged either from Naples airport or train station. 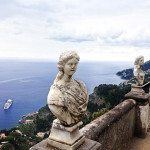 Departure: The tour ends after breakfast in AMALFI/or Atrani on day 8. 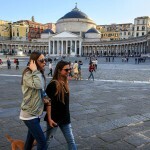 A frequent bus service can bring you to either Sorrento or Salerno, from where you travel on to your next destination (Naples or Rome can both be easily reached by train from here). Several taxi services are available to bring you directly to your next destination. Moderately easy (2-3): Mostly easy walks, though some include walking uphill, sometimes on paths with rough surfaces. On some days extensions or shortcuts are possible. Fitness: High standard of fitness is not necessary but you should be able to walk for up to 5 hours a day in the hot sun on dusty or stony tracks. At the beginning or the end of the tour there is also an opportunity to visit Naples and/or Pompeii, or spend some time on the beach. 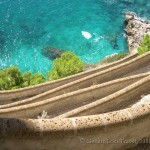 The tour can easily be extended with a few days in Positano, Sorrento, Naples or on the island of Capri. Several good accommodations are available. Details and prices on request. Most paths are relatively well maintained, but during the season some paths can get overgrown (we are in continuous contact with local authorities to keep the paths clean – please help us by providing your feedback on the quality of the paths). Part of the route is waymarked; elsewhere you have to follow the route descriptions provided together with the maps. With these you will always be able to find your route.